Casagrand Savoye in Karapakkam, Chennai South by Casagrand Builder is a residential project.  The size of the Apartment ranges in between 631.0 sq.ft. and 2269.0 sq.ft. Casagrand Savoye price ranges from 27.75 Lacs to 1.02 Cr. Casagrand Savoye offers facilities such as Gymnasium and Lift. The project has indoor activities such as Pool table. This is a RERA registered project with registration number TN/01/Building/012/2019. It is an under construction project with possession offered in Feb, 2021. The project is spread over a total area of 5.7 acres of land. The construction is of 4 floors. An accommodation of 339 units has been provided. Casagrand Savoye brochure is also available for easy reference. Where is Casagrand Savoye located? Karapakkam, a prime residential locality for house seekers in Chennai South. What apartment sizes are available in Casagrand Savoye? The project offers apartments sized between 631.0 sqft and 2269.0 sqft. 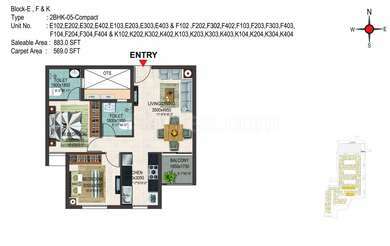 What is total area of 2 bhk in Casagrand Savoye? The area of 2BHK units in the project varies from 631.0 sqft to 1339.0 sqft. 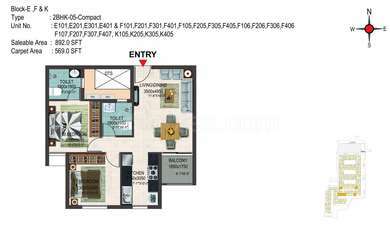 What is total area of 3 bhk in Casagrand Savoye? 3 BHK units in the project are available in a size of 1428.0 sqft to 2269.0 sqft. How much is the total size of Casagrand Savoye?The project is spread over an area of 5.7 Acres. What is the 2 bedroom price in Casagrand Savoye? 2 BHK units in the project are available at a price tag of Rs. 2775769 to Rs. 6158061. The main door will be first quality solid wood frame with flush door shutter with laminate finish of 2100 mm height having Godrej or equivalent locks, tower bolts, door viewer, door stopper etc. Skin moulded shutter doors of 2100 mm height with Godrej or equivalent locks, thumb turn with keys, etc.